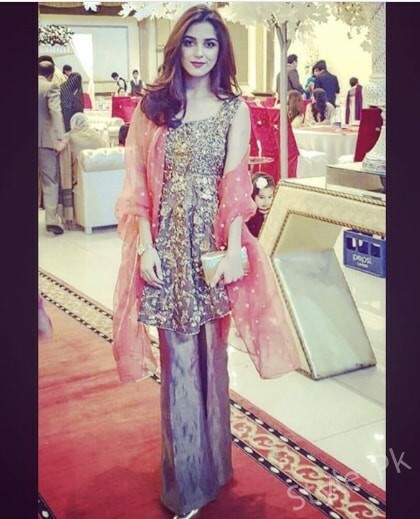 Maya Ali is top Pakistani actress, model, VJ and host. 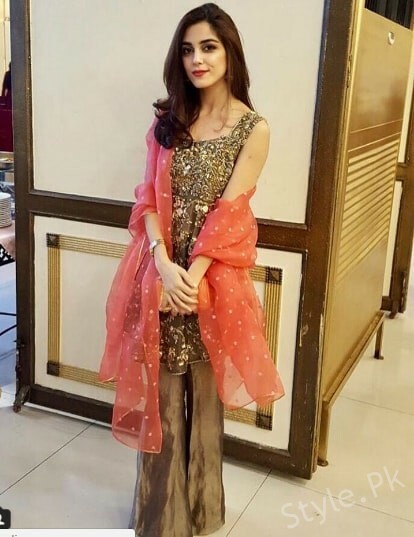 She was born in 1989. 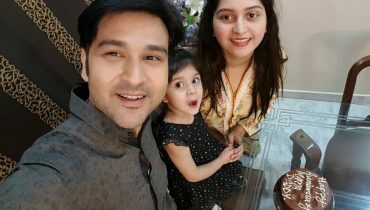 She has worked in many Pakistani dramas that include Diyar e Dil, Own Zara, Mann Mayal, Sanam etc. 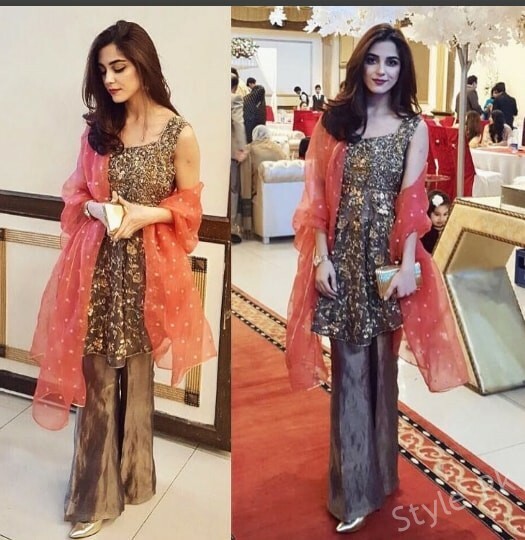 Maya Ali has gained a lot of success in a very short time. 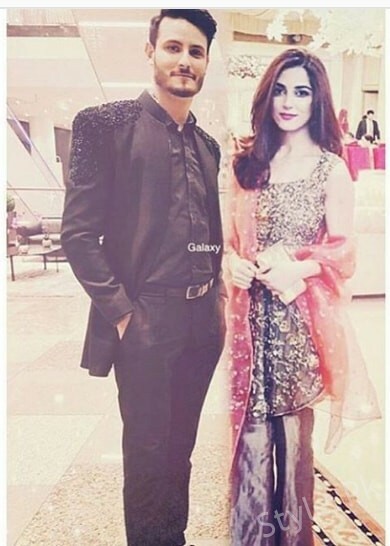 It is expected that Maya Ali will be working soon in a Bollywood movie. 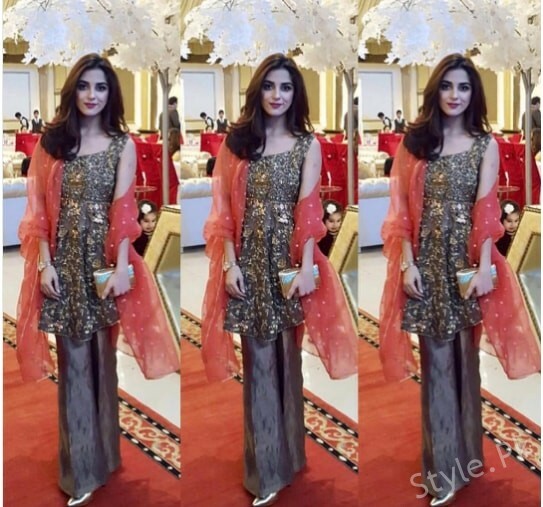 Maya Ali has walked on ramp several times for various Fashion Designers. 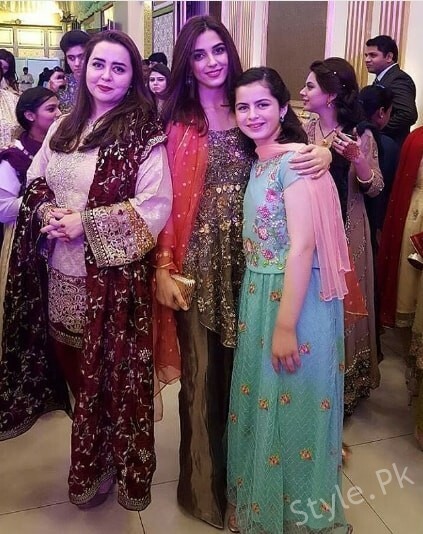 Recently, Maya Ali was spotted at a a friend’s Wedding in Lahore. 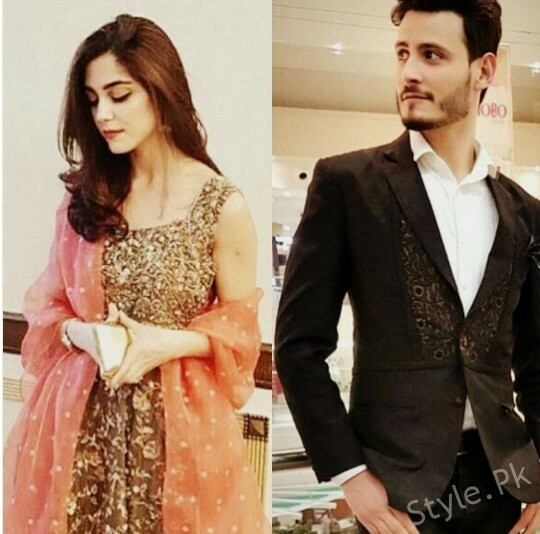 Here we have pictures of Maya Ali at her Friend’s Wedding. Have a look. 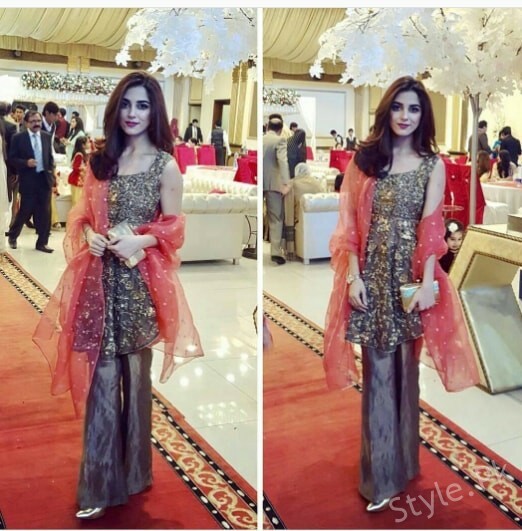 Maya Ali was wearing a peplum top combined with bell bottom trousers. 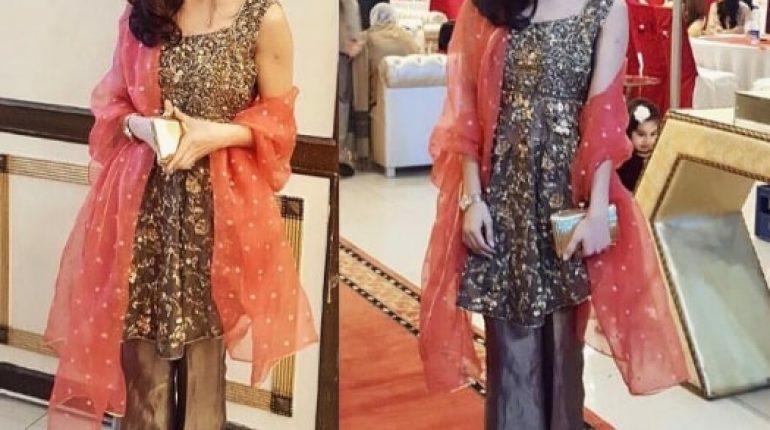 She carried a contrast dupatta. She was looking pretty. 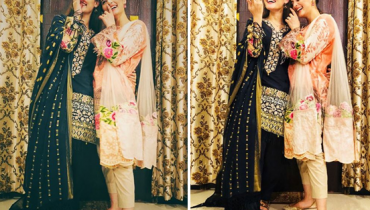 See her pictures.